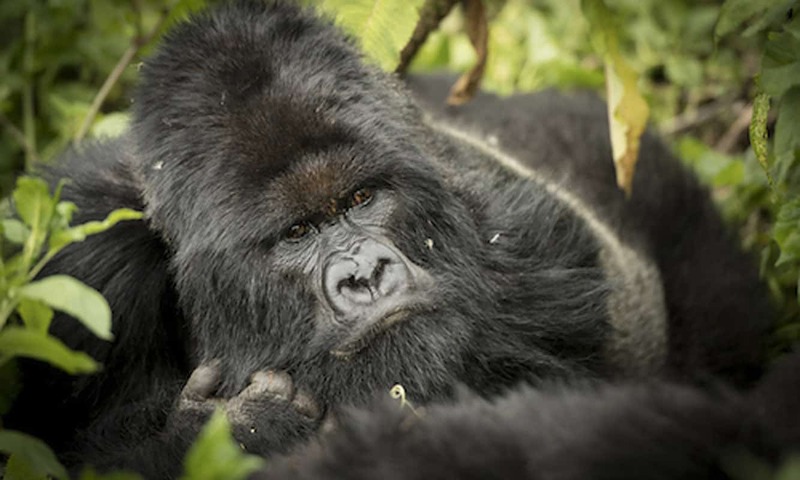 Encountering Mountain Gorillas is a once-in-a-lifetime experience. It’s both exhilarating and humbling to spend time with these critically endangered primates in their stunning natural environment, and to photograph them from up close. Join us on a Mountain Gorilla Photography Workshop in Rwanda and Uganda, and experience it for yourself. 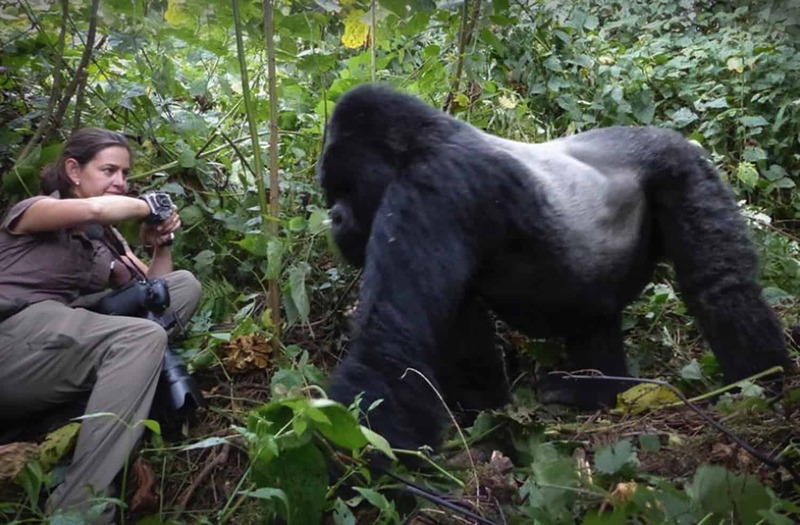 Guided by BBC presenter and professional photographer Trai Anfield, this journey will take you on the finest gorilla treks, in search of the best photographic opportunities. 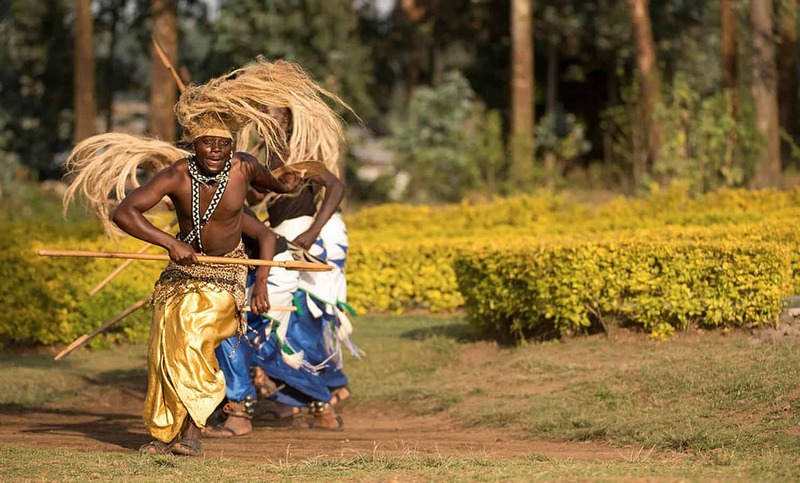 We’ll also introduce you to the wealth of natural beauty, exciting other wildlife, and colourful culture Rwanda has to offer. This is a past workshop, you can view our current workshop here. Read on to find out more, or get in touch to apply or ask us any questions you might have! 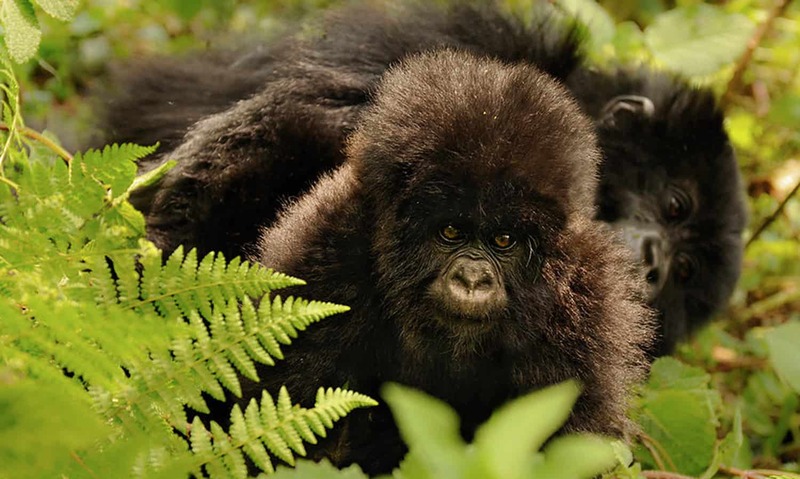 The fact that Rwanda and Uganda are home to the critically endangered Mountain Gorillas is more than enough reason to venture to these African countries; encountering these incredible primates is a privilege that should be high on everyone’s bucket list. It’s also a wildlife photographer’s dream, as the photographic opportunities are both rare and incredibly rich. 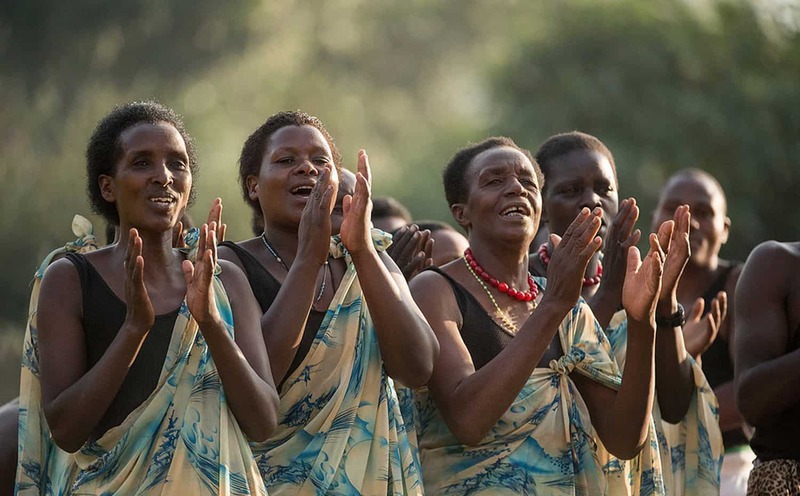 But the countries has more to offer than its gorillas, and we’ll mainly explore Rwanda’s stunning landscapes. Nick-named ‘Land of a Thousand Hills’, Rwanda displays stunning sceneries of endless rolling hills, equatorial jungles, and bamboo forests. We’ll visit some of these beautiful regions, such as Nyungwe Forest, Lake Kivu, and the Virunga Massif, and we’ll discover and photograph an array of other wildlife, including chimpanzees, golden monkeys, colourful birds, and a variety of reptiles. We’ll cross the border to Uganda for a visit to Bwindi National Park, one of Africa’s most ancient and biologically diverse jungles. 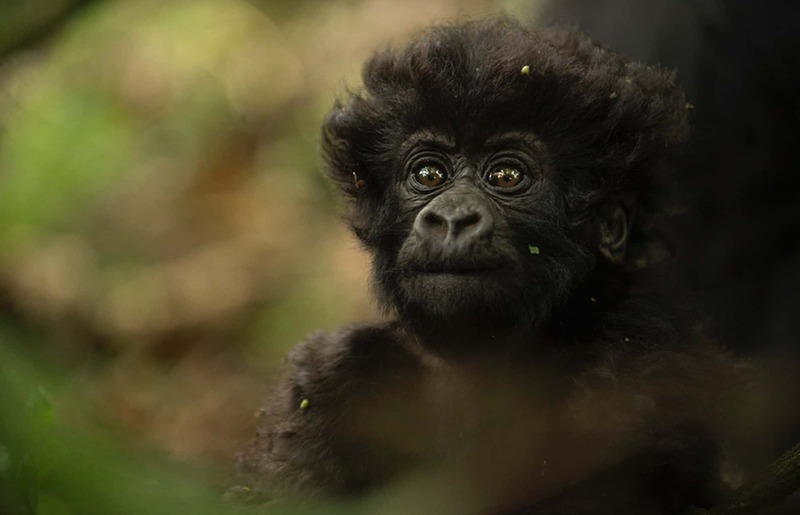 It’s home to an incredible amount of animals, including, famously, around 340 Mountain Gorillas. During this photographic adventure, you’ll have exciting opportunities to explore city photography, landscape photography, as well as wildlife photography. However, the main focus, and undoubtedly the highlight of this photography workshop is photographing Mountain Gorillas. This is a unique experience and an absolute privilege. This is a photographic experience that we truly have to work for – we have to be prepared to trek steep paths hacked out of dense undergrowth for between 2 and 6 hours in order to find our family group. Gorillas change the location of their sleeping nest each night and it is only thanks to our dedicated guides, who track them day after day, that we will be able to find them. When we reach our gorilla group, the photographic opportunities are incredible. While we are always fully respectful of the need to keep a distance of seven meters from the gorillas, the animals themselves might choose to approach us, as they are inquisitive and assertive. So they might come very close indeed – an awe inspiring experience! 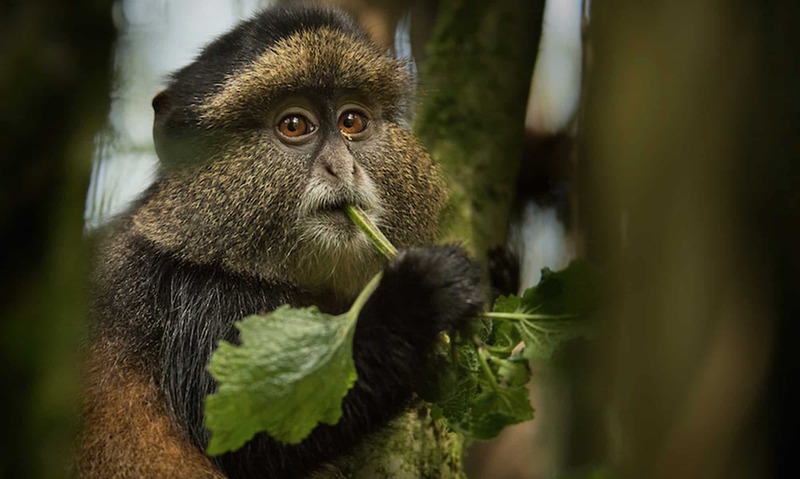 We will encounter the gorillas on two separate day treks, with a less physically challenging but very rewarding trek to photograph the region’s golden monkeys in between. These beautiful and charming primates are easier to access than mountain gorillas, often gather in great numbers, and provide excellent photographic opportunities. We can also expect to photograph a variety of other exciting wildlife, including chimpanzees, colobus monkeys, chameleons, and stunning tropical birds. Throughout this gorilla photography workshop, you’ll be guided by Trai Anfield, a professional wildlife photographer with an impressive portfolio. She’ll provide photographic tutoring, both during theory sessions and in the field, and will be able to offer assistance with technical issues, composition, and post-production. Since we’re travelling in a small group, there will be plenty of time for individual tutoring. Our journey through the heart of Rwanda begins in cosmopolitan Kigali. You’ll arrive at Kigali Airport, where you will be picked up an taken to your accommodation. After a basic introduction to your guide and the group, you’ll have time to rest and settle in. Next it will be time to explore the eerie Gunnuhver mud pools, photographing the hot and steaming sky from the geothermal waters under the earth’s surface. They are named after a ghost who supposedly lies there still. We will end the day by visiting the peninsula’s largest lake and gorgeous Krisuvik Cliffs, home to a thousand of sea birds. After a short exploration of Kigali, we’ll head to Nyungwe Forests, breaking our journey with tours of the Kings Palace and National Museum on the way. One of Africa’s oldest and largest forests, Nyungwe Forest is home to 13 monkey species, including chimpanzees, Angolan Black Colobus, Mona Monkey and Owl Faced Monkeys. We’ll spend two nights here, plenty of time to explore this magical rain forest. We’ll get up for an early morning of Chimpanzee tracking in Nyungwe Forest; an incredibly rich experience with great photographic opportunities. In the afternoon, we’ll visit the Angolan Black Colobus monkeys, a unique subspecies of the Black and White Colobus. Another day exploring the natural wonders of the forest. This day, we will focus on photography many of the tropical bird species that inhabit the area. And in the afternoon, we’ll venture to the famed and impressive canopy walk, which gives bird-eye views forest views. For those who are keen, there will also be time to do additional walks during our days in Nyungwe Forest, which could include a visit to some impressive waterfalls. These are optional activities that we can set up. We’ll set off on a stunning drive along the shores of Lake Kivu, passing through some of Rwanda’s most beautiful scenery en route. An overnight stop on the shoreline gives us plenty of opportunity to capture the striking landscape and lakescapes in the best light. For those who are keen, an optional activity is a boat trip on the lake. We’ll drive from Rwanda and cross over to Uganda in the south western Park of Bwindi National Park. On our way, we’ll pass through interesting villages and have some breathtaking views of the mountains. 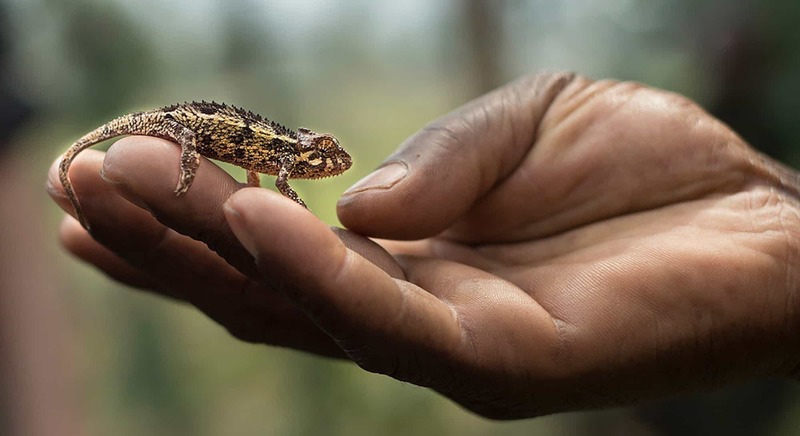 With magical misty landscapes, Bwindi is an ancient and incredibly diverse jungle. It’s home to around 350 bird species and 120 species of mammals, and one of only two places in the world with Mountain Gorillas. Two days of gorilla trekking, undoubtably the highlight of the trip! To make the most of this incredible opportunity, we’ll have early morning departures to search for Mountain Gorillas. 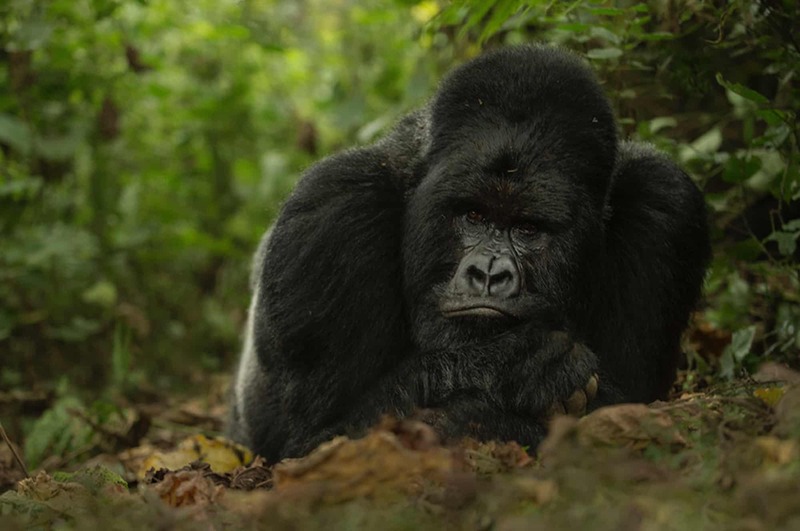 The fragile nature of the gorillas’ existence becomes apparent as we trek deep into the forests of the Virunga mountains, one of their few remaining habitats. Once we find them, you’ll get to spend around an hour with them, observing them carefully, enjoying their presence, and photographing them. It’s an awe-inspiring, unforgettable experience. We’ll offer an optional trek through the national park in search for Golden Monkeys. Afterwards, we’ll head back to Kigali. We’ll spend the morning in Kigali, where we will do a fascinating community walk through some of the capital’s most vibrant suburbs, sampling Rwandan hospitality and day to day life. The Genocide Memorial museum puts the whole of our Rwandan experience in context and, although it can be deeply affecting, should not be missed. In the afternoon, we’ll wrap up the workshop and take you back to the airport for your flight home. Or, if you’re going for a full African adventure, you can join Trai in Botswana for an exciting Wildlife Photography Workshop. Lenses – given how close we are to the gorillas, I find my 70 – 200mm f2.8 very useful, although wider habitat shots from a 24-70mm and detail shots at 300 or even a 400mm are also very effective indeed, especially when shooting through foliage. Please note it is not permitted to use flash photography anywhere around the gorillas. Flash must be switched off altogether. Tripods and monopods are also forbidden here. Some kind of waterproof cover for your camera and lens – doesn’t have to be mega-expensive, I’ve used real cheapies from the internet and they’ve done the job without weighing me down. Trai Anfield has an impressive CV. She is a photographer, workshop leader, video journalist, producer, and meteorologist. She spent 13 years presenting the weather forecast and hosting various programs for the BBC, before deciding to combine her love of photography, conservation, and travel to set up an independent production company several years ago. This allows her to photograph the natural world, host wildlife photography workshops around the world, and support a variety of conservation charities that she is passionate about. Trai still presents The Living World, BBC Radio 4’s flagship natural history program, and she also writes wildlife and environment articles for various magazines.